Be gorgeous styles by Mimmie’ offer one stop shopping with quality retail products available directly to the public with a safe delivery and full customer support so you can make the most out of looking your best this summer no matter your style or gender. What is the main focus of Be Gorgeous Styles? Mimmie: Well after taking part in the fashion shows, I figured I love fashion and thought, what’s could be more greater than creating my own designs wearing my own clothes and also let other people experience and look gorgeous in my own fashion designs, and also have fun while doing it? And above all, I greatly comprehend what my company should offer to the young and ever-changing generation. My fashion background allows me to make sure that the products I am offering is luxurious, affordable and fashionable catering for all members of the society. And also having worked for charity projects, and having an African background gives me all the motivation and dedications I need to go forward with my projects. How did you get into fashion design and what is your favorite part of fashion? Mimmie: The time I really decided that I was going into fashion, was after I took part in the Beauty Pageant (Miss Zambia UK Beauty Pageant), this was an amazing experience and that I really enjoyed being a part of and what’s more this was for a very good cause as well, so it was like doing something I really love and at the same time giving back to the people. I believe, it is important to stay updated with the latest trends in the fashion styles in order to achieve real confidence and attractiveness in the middle of a crowd. Anyway, my favorite part of fashion is that, you can come up with design you like and turn it into a trend, the fashion sense is every changing and at the same time staying the same if you know what I mean. Plus what are the things that embody the latest trends in the stated industry? It is all about looking into the latest models of accessories and footwear that’s created for men and women, and just like that you can simply come up with a design to suit your personality and characteristic. Mimmie: I have always looked up to my parents, they are very good people and have hearts of GOLD, and most especially My father who has played a tremendous huge part in my life for wanting to do great to the best of my abilities. who was also a self-starter and now a very successful businessman throughout his career, ultimately serving as Director & Chairman of Cavendish University and a CEO of KSM Investment Group Company, his hard work and thirsty for more knowledge, have inspired, motivated and encouraged me to aim higher in both academics and career aspects. Thank you daddy for always encouraging, and believing that I have the ability to achieve anything I set my mind on, and for simply being a tremendous example of a hard working individual. You are also the CEO of ZBIL, a charity organization. Tell us about this project and why this is so important to you? Mimmie: Having worked for charity projects, and having an African background gives me all the motivation and dedications I need to go forward with my projects. I believe we all at point need help from someone, but the main reason for starting this project is that, ever since I can remember I have always wanted to do something to help people. And the orphanage center was always my main dream, to start a charity helping children back in my home country. Having an African background I feel that it’s very important to give back to the community, because they are so many people out there who can afford to help improve our countries but they only think about themselves, don’t get me wrong I am not blaming them nor do I have anything against them, I just feel that if you are able to help someone, them by all means please do all you can to help, to improve children future and plus it feels so damn good to just help others. What is your advice for aspiring models and fashion designers that look up to you for guidance? Mimmie: To never give up on your dreams, believe that your dream will come true, work hard and just have fun while doing it, when you love what you do it doesn’t even feel like work. The secret to making sure that you don’t lose interest in what you do is be certain you have chosen the career path you have passion about. And to always remember to be humble because people are basically nice in general so if you are generous they can surprise you. What is it that you have no accomplished yet, that we may see in the years to come? Mimmie: My ultimate goal is to make sure that my charity is very successful, because eventually I would like to start a school back in Zambia in my grandparent home town, my plan is to name the school after both of them, as they are no longer with us, they passed away about 10 years ago, so it’s very important for me to make sure that this project is successful as would love to carry on their names and of course help all the orphan children as they are the reason this project even exist in the first place. As well as helping children I feel it’s important to assist those elderly people who do not have anybody to help them with every day necessities and other assistance they may need mentally and socially. As for my business it is also important to eventually be able to expand the company so that everybody will be will be able to share my designs and gorgeous fashions with the world, and of course extra financial gain couldn’t hurt at all. Mirriam Musonda- Salati serves as the founder and CEO of U.K based Be Gorgeous Styles, an online e-commerce destination. She has labored in the fashion and entertainment industry for a long time. Her enthusiasm for fashion is exhibited in her career as a model and fashion designer. Musonda has also worked as a CEO of ZBIL a charity Organization. Her work in the firm enhanced her entrepreneurial skills and made her a long –lived style visionary. Her designs are exceptional and highly praised by her customers. Musonda's creations are perfect and very attractive to a large number of consumers within the UK and around the world. Her great skills in marketing have led to her diversification of the various products her organization sells. She not only sells women's clothing and items she has further delved into kids wear and men's wear as well. As a result, Musonda is turning out to be one of the most influential women in the fashion realm. Her existence in fashion is strong her business online is thriving at a great deal as she has great offers and discounts on the purchases made by her clients. She ensures that her customers are well served to their satisfaction as the firm provides for free delivery of items bought. As a model, she also gets deals with some of modeling industries to dress their models with her stylish designs. 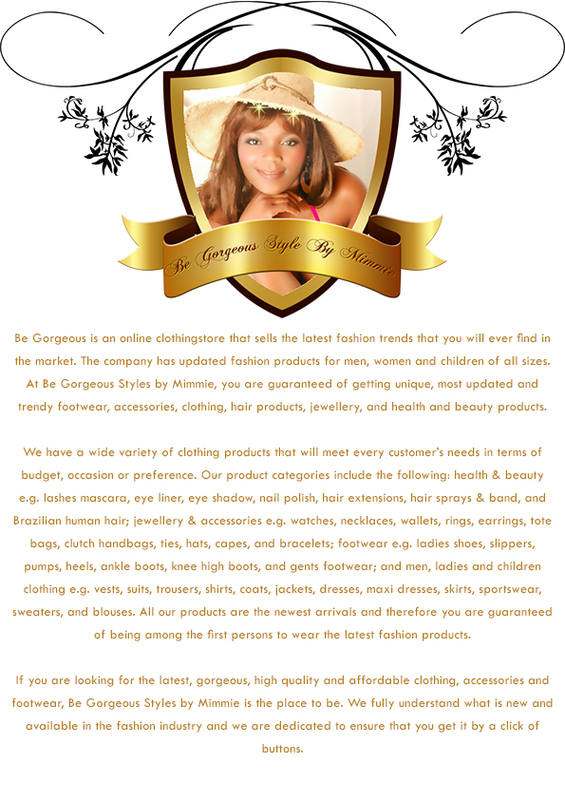 Hence, she has a great network to market her clothing and fashion products. Her designs and fashion products reflect her enchanting personality. She has influenced a majority of the young women and men to try modern things in fashion. Musonda has also stretched the minds and imaginations of her clients on what fashion could be like when new things are embraced. 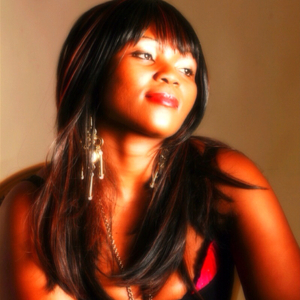 Musonda is the ideal example of a zealous entrepreneur wanting to satisfy the needs of the population in fashion. As a young industrialist in the fashion business, she greatly comprehends what her company should offer to the young and ever-changing generation. Her fashion and products is luxurious, affordable and fashionable catering for all members of the society.